John Feit walks out of the 92nd state District Court during a break in his trial for the 1960 murder of Irene Garza at the Hidalgo County Courthouse in Edinburg. Feit was found guilty of Garza's murder and sentenced to life imprisonment. EDINBURG — In what can be seen as a procedural move, John Feit’s defense attorney filed a notice of appeal earlier this week, according to court records. O. Rene Flores filed the notice Tuesday with the 92nd state District Court nearly a month after a jury found his client guilty of murdering Irene Garza, a McAllen schoolteacher, in April 1960. The move is quite common; in fact, The Monitor spoke to several attorneys who noted that a defendant who goes to trial and is convicted is expected to appeal the conviction. An appeal, however, is less common when a plea agreement is involved. 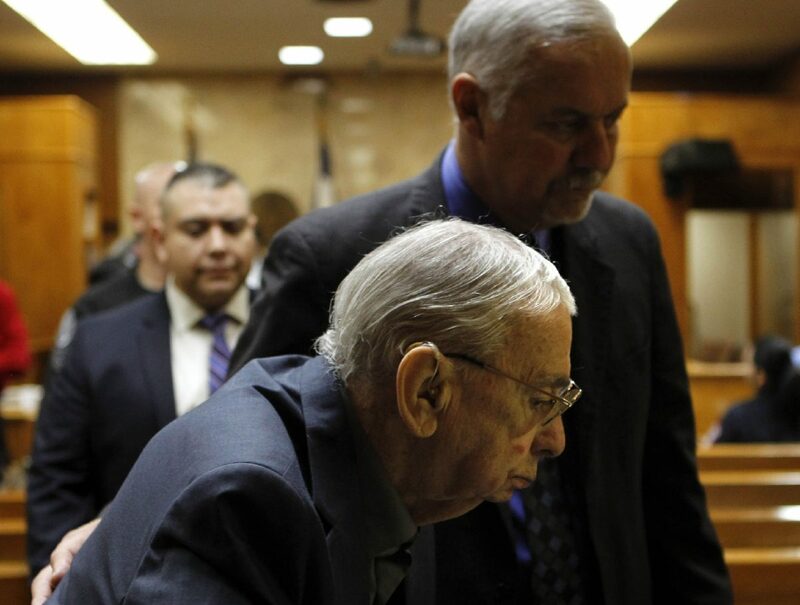 Jurors sentenced Feit, 85, who elected to not testify in his defense, to a life sentence after five days of testimony in the trial that was nearly 60 years in the making. The Dec. 8 conviction closed the chapter on the longest cold case in the state’s history that had garnered attention nationally and around the world. The former priest was transferred to the Texas Department of Criminal Justice’s Byrd Unit in Huntsville in mid-December following his conviction, and after spending more than 20 months at the Hidalgo County jail in Edinburg following his arrest in connection with Garza’s death. Flores did not return requests for comment as of presstime.